<– This cutie is why it’s been pretty quiet here on the blog lately. Not to mention I have three short stories under various different levels of ‘upcoming publication’ and my yearly goals to achieve (I’m pretty sure I’m going to have to scrap goal #2, because the others have been pretty all-consuming). Speaking of goals, to try and help me polish off #3 (the final revision/edits of Written By The Stars) I’m going to turn NaNoWriMo(National Novel Writing Month) into NaNoReMo (National Novel Revision Month). I’ve been using the Holly Lisle ‘How To Revise Your Novel’ course to help guide me and I’m finally up to the last step – doing the write-in (there’s a lot of lead up steps that help you spot problems and plan your revision). So I’m going to break up the process into two parts – the paper revision then the write in revision and track it by pages. I have 191 pages, so each of those done twice means I need to do 12.7 pages a day to do it in a month. At times like this I wish the kids went to school ;p Let’s see if I can pull this off without neglecting the kidlets or the housework too much. Certainly glad I’m not off maternity leave just yet! 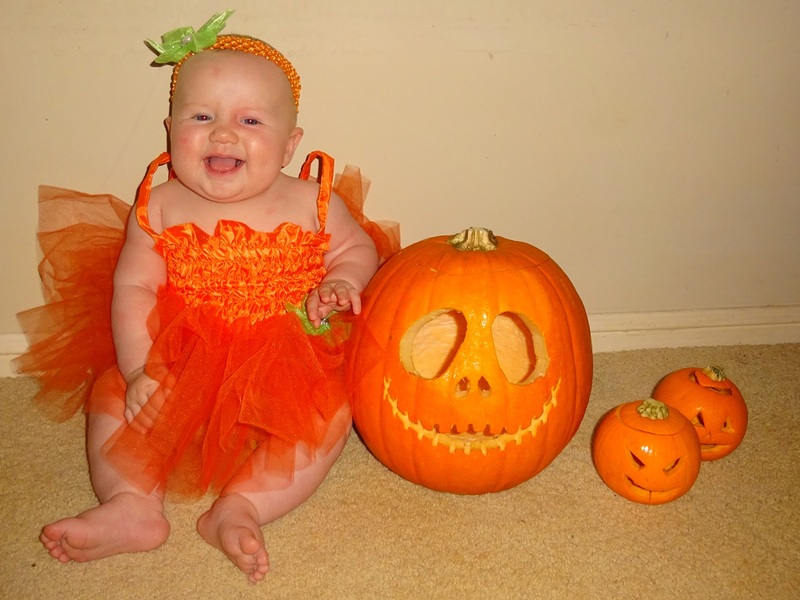 Now enough business, lets all just take a moment to absorb how adorable Harley is in her pumpkin tutu!